Learning a new is not an easy task, it’s challenging, frustrating, and sometimes just downright difficult. So do you always struggle learning a new language or new vocabularies? 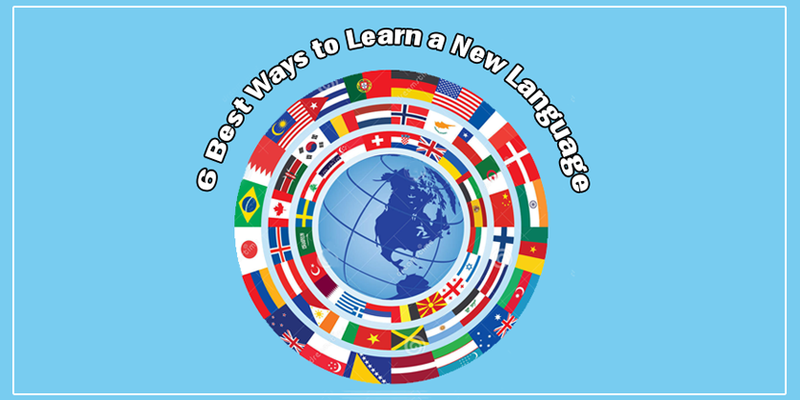 Here are the 6 best ways to learn a new language. They will help you learn any new language you want. With that being said let’s get started. Leave the comfort of your home and go to the place where people around you will speak the language you want to learn. And live there for 6-12 months. It might be painful and lonely at times but you will surely learn the language because that way you entirely create the environment that will make you learn and use the language. You might also enjoy some new and memorable experiences for the rest of your life. Perhaps easier and also effective is immersion or when you learn a new language through exposure and context. So, for instance, if you are learning English, do so in a pizzeria. You can try the menu that will help you learn and remember and also practice the language and new vocabularies. Mnemonic is a method to learn new vocabulary by creating an association that makes it easier to remember. For example, let’s say you want to learn the French word “chou” which means cabbage in English. Chou is pronounced as shoe in English, so you could imagine putting cabbages on your feet instead of shoes. Then when you need to remember Chou your brain will think “ cabbage< shoes< chou”. Scriptorium is an exercise in writing. Students write the language while simultaneously speaking it out loud. Before you write a new sentence you should read it out loud, second say each word out loud again as you write it and third read the sentence out loud again after you have written it. The main purpose of this exercise is to force yourself slow down and pay attention to detail and then review unknown words and refresh your grammar. Shadowing is used to learn vocabulary. You listen to new words through headphones and try to repeat, to shadow them out loud as quickly as you can. Inventor Alexander Arguelles, who speaks 50 languages, suggests that you do it while walking swiftly to maximize alertness and blood flow! If you want to learn a new language but you don’t have anybody who can help you, check out what is available online. There are websites and also apps that can help you learn and practice such as Dualingo that teaches many languages for free. It is fun and effective as they make you practice reading, writing, listening and speaking.